Upstart distributor BLU Products has announced its latest low-cost Android smartphone in the Studio 5.5. The 5.5 features a 5.5 inch 854×480 LCD display and a profile of just 9.5mm. The STUDIO 5.5 is powered by a 1.2GHz MediaTek quad-core processor with 4G HSPA+ 42 support, 5.0 megapixel autofocus camera with LED Flash and 1080p HD video recording, along with a microSD slot supporting memory cards up to 32GB, 1GB RAM, and Dual SIM functionality. 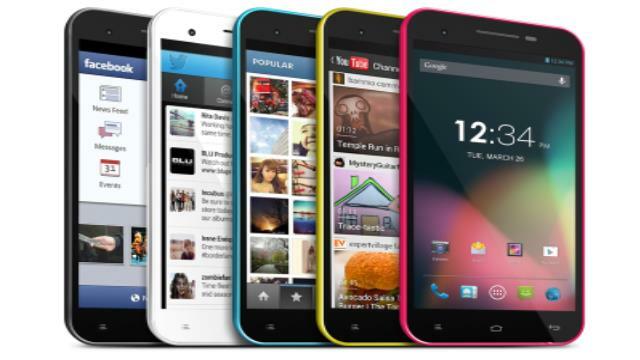 Future software updates and upgrades will be automatically downloaded through BLU’s over-the-air Wireless Update Feature with the phone running Android 4.2 Jelly Bean. The phone will be available soon via Amazon and other retailers for $179.99. Looking for an 5.5 or 6′ phonhe to work with boost mobile, boost mobile no sprint.